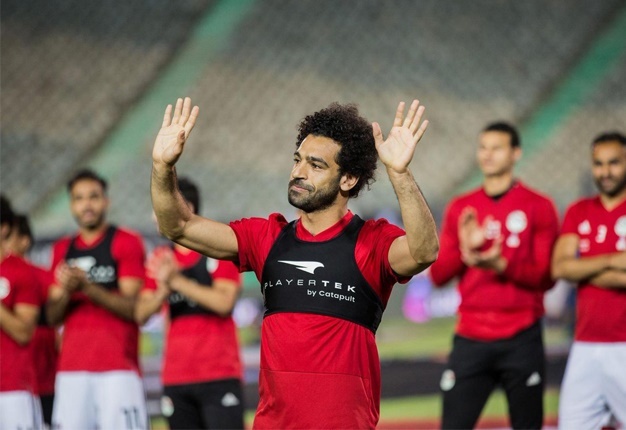 Mohamed Salah gave Egypt's World Cup hopes a huge boost Wednesday when he joined a squad training session at their Grozny base. The Pharoahs' superstar has been sidelined since suffering a shoulder injury in Liverpool's Champions League final loss to Real Madrid on May 26. However, an AFP reporter saw the forward take part in his first training session since the injury on Wednesday, going through a range of warm-up exercises with his teammates. Team director Ihab Lahita was cagey about Salah's progress, saying there was no guarantee he would play in Egypt's Group A opener against Uruguay on Friday.